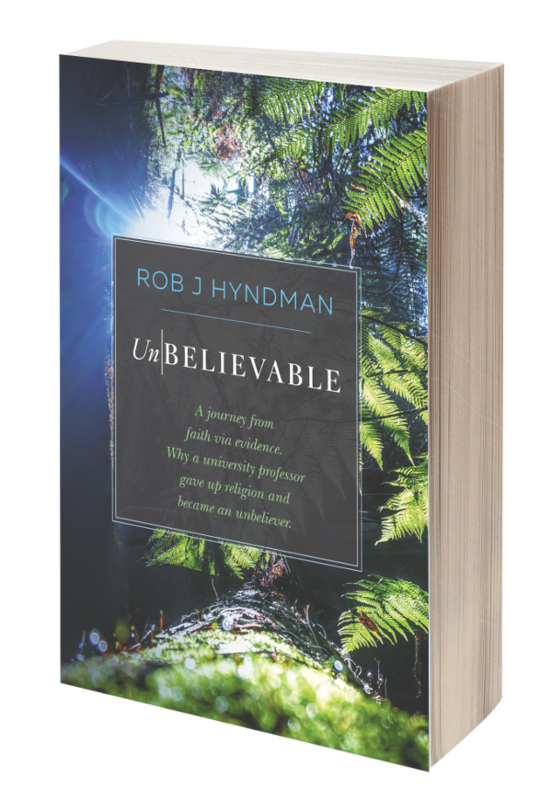 Ex-Christadelphians: SPECIAL FEATURE: EVOLUTION IS TRUE! The ignorance of large sections (not all) of the Christadelphian community about Evolution is profound. It is wilful ignorance of a people who won't even look at the facts. They don't want to look at the facts because the facts clearly demonstrate that the first chapters of the Bible are Iron Age myth and nonsense. The facts destroy the very foundation of Christadelphian belief. Instead most Christadelphians learn about Evolution by reading anti-Evolution booklets and watching anti-Evolution videos that are either decades out of date or are based on writings that are obsolete by a factor of many decades. As a consequence they know almost nothing about one of the greatest scientific discoveries in human history and they don't understand that Evolution actually happened. Evolution is true and it exposes the writers of Genesis as mistaken. God did NOT create living species; they evolved from a common ancestor billions of years ago. It has been said that there is more evidence to prove that Evolution happened than there is for any other established fact of human knowledge. We have the evidence of our own eyes in our own times. 38. We reject that the Bible account of creation is figurative, or parabolic, of a type of organic evolution in which all living things evolved from simpler varieties. [The record of Genesis 1-3 describes the literal work of God in creating this world and its creatures out of the previous void and chaos. Each day was a period of 24 hours duration, and does not permit an evolutionary process]. - How barmy can you get, to think of the science of Evolution as being some sort of religious "Doctrine" that should be "rejected"!!!!!! It is uninformed, unread nonsense for many Christadelphians to say that Evolution is a theory and not a fact. Evolution is an established fact of human understanding, just like the Germ Theory of Disease, General Relativity Theory, Atomic Theory, Quantum Field Theory, Gravitational Theory and many other scientific theories that have become accepted as facts of science because of the overwhelming number of proofs of their accuracy. The scientific establishment universally accepts Evolution as a fact. All non religious scientists accept that Evolution occurred. The great majority of religious scientists accept that it is true. Only a handful of religious scientists put their faith before the evidence and refuse to accept what the majority of their colleagues hold to be true. Not one non-religious scientist accepts the creationist argument; because there is no testable, empirical evidence for creation. Millions of fossils have been discovered demonstrating the truth of Evolution and approximately a quarter of a million of those fossils are transitional fossils showing Evolution taking place. Nevertheless may Christadelphians ignorantly claim that there are no transitional fossils! The recent "Darwin Delusion" lectures by John Hellawell risks bringing his own religion into disrepute by his misleading obscuration and ignoring of the overwhelming evidence for the truth of Evolution. His comment that The Origin of Species was a "boring" book defies belief. How can a scientist speak such things about one of the pre-eminent scientific treatises of all time? Darwin and Alfred Russell Wallace were the first humans to understand and to explain how the unconscious laws of physics and biology could produce complex living organisms. It was a triumph of human thinking. John makes a lot about Evolution being "Random Chance or even "Blind Chance." He uses forty year old examples such as the unlikely possibility of monkeys typing the works of Shakespeare, or a typhoon blowing through a junk yard producing a Boeing airliner, to illustrate that Evolution by random chance could not happen. He completely misses the fundamental fact of Evolution that the genetic development of evolving species is the very opposite of chance. Deliberate, controlled and accurate selection of random mutations drives the evolutionary process towards the goal of survival of the individual. These surviving individuals have an increased possibility of passing their genetic makeup on to their descendents who inherit the advantage of their parents' mutations. Natural selection is NOT random; it is a controlled process in which death selects favourable genes that fuel evolutionary progress and allows them to live to reproduce, before killing them. It is the speed of death's actions to kill unfavourable genes and its slowness to kill favourable mutations that crafts and sculpts species to evolve. Life does have a designer. But that designer is not God: it is death. Death kills animals and their genes that are not suited to survive in a hostile environment. Death continually purifies the gene pool of a species and acts as a filter that only allows successful genes to survive and reproduce. Death is the enemy of individual animals, but the loving friend of their species who it evolves to be stronger. 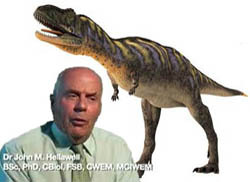 Transitional Fossils - The "Missing Links"
One of the other central arguments in John Hellawell's lecture is his extraordinary claim that transitional fossils between species have never been found. Once again he appears to show a lack of knowledge of his subject. Many of these "Missing Links" have been found over the past decades and together with advances in the science of genetics, almost all of the gaps in our understanding of these links has been fully explained. We have prepared the following video for you to watch that details the discovery of these "Missing Links." 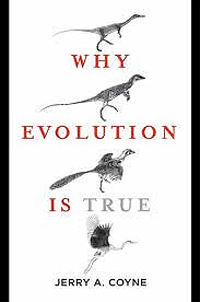 It contains readings from "Evolution Is True" by a Professor of Biology at Chicago University, Jerry Coyne. We have added the pictures and music to increase interest. After you have seen the video you will have an opportunity to order a copy of this fascinating book. The CALS "Science and the Bible - Facts and Theories" video is another excruciatingly painful, amateur production. It is somewhat misguided for the narrator to talk about observable facts being superior to theories. It was "observable facts" that the Earth was flat and that the Sun revolved around the Earth; but it was not true. Something is established as a fact and true if almost all of the people sufficiently qualified to make the judgement say that it is a fact and true. This is the case with Evolution. Therefore Evolution is a fact and is true. Only a miniscule number of religious scientists deny Evolution and they do so because they have their own religious agenda. No non-religious scientists believe in divine creation because there isn't even one generally accepted scientific piece of evidence for such a hypothesis. Because almost all of the people sufficiently qualified to make the judgement say that divine creation has no supporting evidence, it is false. If almost all of the people sufficiently qualified to make the judgement change their mind and declare divine creation to be a fact then it will become a fact. But that has not happened. Scientists use the word "theory" differently to the public. Scientists try to disprove their theories because ultimately it is not possible to prove a theory. If they cannot disprove a theory after exhausted testing it becomes a theory that is considered to be a fact. They consider such theories to be both theories and true facts simultaneously. Evolution began life as a theory in 1848. But since that time millions of pieces of supporting evidence have been discovered. Thousands of predictions and retrodictions (predictions about the past) have been confirmed. Therefore it has become a theory that is also a scientific fact. The makers of this video do not seem to fully understand this use of words in science. Therefore the underlying premise of the video is false. After the mistaken opening statement of the narrator about observable facts and theories, everything that follows becomes suspect. 1. That nothing has changed in history - scientists don't believe that. They think that in the first few microseconds of the Big Bang different physical laws applied in the Universe. 2. That the laws of physics operate the same throughout the Universe - scientists don't believe that either. For example they think that beyond the Event Horizon in a Black Hole different physical laws apply. 3. That the observed red shift of most stars means that they are moving away from us. His first two assumptions are mistaken. Scientists don't assume those things; they would disagree with them. The third is not an assumption at all. Expand the wavelength of light and the colour will change to red. If a star moves away from us at speed, the speed of its light will be constant, but its wavelength will be stretched. The human eye will interpret this as a shift towards the red part of the colour spectrum. The Red Shift of light is a scientific fact, because, as with Evolution, almost all of the people sufficiently qualified to make the judgement are convinced that it is true. For example see: https://en.wikipedia.org/wiki/Redshiftfor a more detailed explanation. 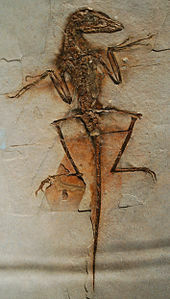 His Archaeopteryx example has been confirmed by numerous new finds in China during the past decade. The reptilian origin of birds is also overwhelmingly confirmed by the genetic evidence. It is eroneous for him to attempt to debunk Archaeopteryx when it is an established fact of science that only religiously motivated people refuse to accept. 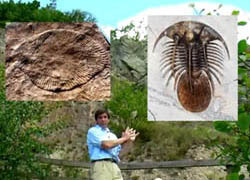 Moreover the "Cambrian Explosion" of life was nothing of the sort and actually occupied tens of millions of years. James' thinking about Cladistics (the similarity of groups of animals) is similarly wrong. He says that we can't conduct experiments to prove such links; ignoring the fact that with DNA sequencing we can experiment on these animals and prove beyond doubt the genetic connections and how they evolved. The evidence of genetics is practically the definitive handbook to Evolution. It shows us at the microscopic level exactly how life evolved on Earth. This video ignores this wealth of genetic and DNA evidence that proves the truth of Evolution. James states that Evolution and the hypothesis of an intelligent designer are both explanations for the existence of life. That is true. But they are not "equally valid" as he claims, because the facts discovered in support of Evolution have convinced the academic community in every part of planet Earth that Evolution is true and that there is no evidence of intelligent design. The theory that Santa Clause created life is also an explanation. But such an idea is as equally silly and lacking in credible evidence and scientific support as the hypothesis that God created life. James argument that the differences among breeds of dogs are used to support Evolution, proves the opposite of what he is trying to say. This sort of variability within species is what helps to drive Evolution. But only when animals are geographically separated for long periods of time do they diverge to the point that they can no longer interbreed. That has not happened to the domesticated dog. His argument that Evolution has not been observed by humans is wrong. Of course humans don't live for tens of millions of years to watch animals evolve into new species. But we do live long enough to study the fossil record and watch life evolving before our very eyes. We do live long enough to read about the huge amount of genetic and other evidence that confirms Evolution. Evolving antibiotic and drug resistance is clear evidence of Evolution taking place with alarming high speed in our own lifetimes. In 1977 a severe drought in the Galapagos Islands drastically reduced the supply of seeds on one to the islands, Daphne Major. The Medium Ground Finches on that island took only one year to increase the average beak size of the entire species by ten percent! Average body size also increased to accommodate the larger beak. This allowed them to survive by eating a more varied diet. In the video Paul Tavell proceeds to tell us that the text of the Bible is an "observable fact." He then contradicts himself by telling us that Christadelphians don't agree with each other what the text of the early parts of the Bible means. - So much for his "observable facts!" He says that on the first day of creation God created light and there was a day and night of the first day which he takes to be a 24 hour period. However as our days and nights are caused by the revolution of the Earth in the light coming from the Sun, that does not make any sense because the Sun had not yet been created until the fourth day! The Bible claims that on the third day plants were created. IN THE DARK because the Sun had still not been created! What sort of God creates plants in the dark? The Bible states that on the fourth day "God made two great lights; the greater light to rule the day, and the lesser light to rule the night: he made the stars also." But not even the Christadelphians believe nonsense like that because it would mean that the earth is older than the Sun and even Christadelphians have worked out that cannot be. So Paul lamely concludes "So what probably happened at this stage is that the clouds separated and the Sun and the Moon appeared. But that idea flatly contradicts what the Bible says, which Paul earlier said was "an observable FACT." Paul then proceeds to rubbish the Biblical claim that the Universe was made in six days. He is evidently well down the track to believing in the Big Bang, the great age of the Universe and Evolution, because he puts forwards the idea that all this "creation" occupied a vast period of time. I expect that he will soon be an Ex-Christadelphian and help us to show the Christadelphians how wrong they are. The narrator then says "We have no object of forty million years of age that says "Use me, I am a calibration sample." In this he is again mistaken. We have igneous rocks dating back billions of years that can be dated by Radiometric dating. This dating method is universally accepted by scientists the World over as being accurate. By a process of Bracketing we can use this data to date the sedimentary layers in which fossils are found and thus we can date the fossils. He then says "Whatever view we take of the Bible text regarding time periods (in other words they don't accept what the Bible says) there is no conflict with science because there are no observable scientific facts to enable us to check our theories." That is complete gobbledegook. I don't knows what he is talking about. He immediately contradicts himself again by stating "When we consider the observable facts that science has discovered, there is no conflict with what the Bible says." The video ends in total confusion. The presenters are telling us that they reject what the Bible says about the time periods of the Biblical account of creation and the age of the Sun, Moon and Stars. They then say that there is no conflict between the Bible and science! But it must be obvious to everyone that the Christadelphians have got their new ideas about these things FROM science, NOT from the Bible, because they reject the Biblical account of creation and prefer a more scientific explanation. The message from this video is clear. Reject Bible teaching about creation and accept what science has shown us to be true. - We could not agree with them more! It is brilliant material. Those guys are slowly and unknowingly evolving into Ex-Christadelphians and it is a joy to behold. The advancement of human understanding is the most wonderful thing in the Universe and at Berea you can watch it happening in real time. Evolution is a highly complex subject that is beyond the understanding of most Christadelphians. However for the small group of intellectually minded free thinkers within the Christadelphian community, we want to offer some help in understanding this important subject. We want them to realise why Evolution is a fact and why creationism is an obsolete Iron Age myth that has no place in the twenty first century. What follows is a recommendation to purchase Jerry Coynes excellent "Why Evolution Is True" book (click the picture below the video to place your order) and then some excellent videos explaining the subject in a moderate but not complex depth. This is a great introduction to the theory of evolution, not too long, and with a very good balance between text and video. I thoroughly enjoyed it, and hope others will do the same. I also wish to gratulate you for this site, borne in pain, and a proof that it's never too late.